We are knocking it out this week with another summer wedding! Shannon and Jeffery’s wedding in Washington DC couldn’t have been more personal with a few something borroweds, special touches and lots of family and friends! Three months before their wedding, Shannon was diagnosed with cancer, but she didn’t let that hold her back. 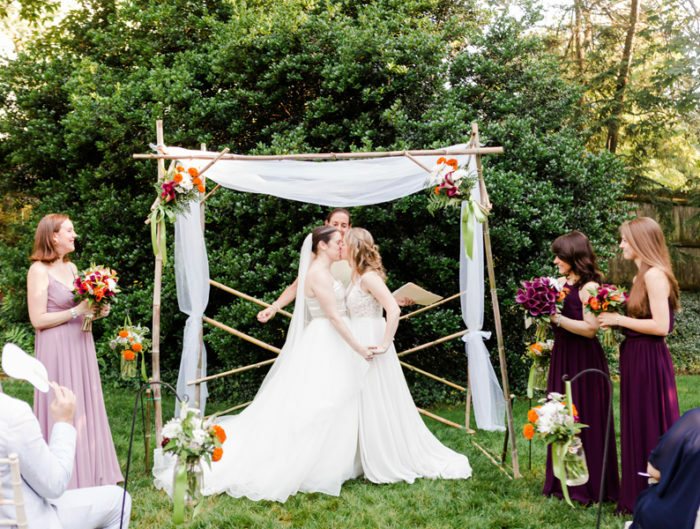 She borrowed her mother’s veil and had it turned into a beautiful headpiece. And, as you know, I can’t resist a groom in uniform! 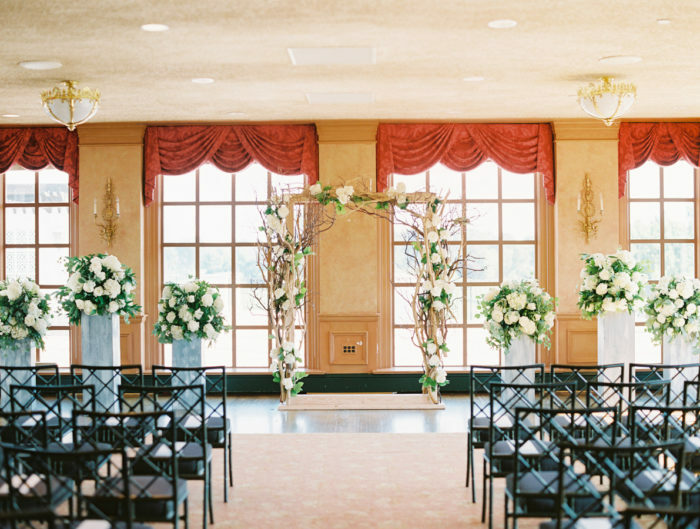 With Andrea from The Observatory there to photograph, they were married at the modern W hotel and by using elegant white flowers, they were able to soften up the space and make it completely “them.” Be sure to come back later this morning to see even more personal touches throughout the day! From Shannon: In the beginning, and throughout most of our planning, we worked with great planners who helped our vision come alive. I was diagnosed with cancer three months before we planned to get married, so we wanted to make sure that our wedding symbolized our love for not only each other, but our families and friends. 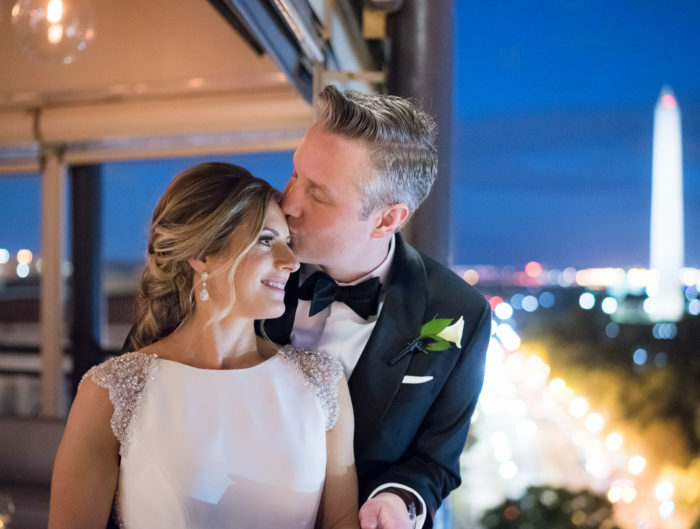 I knew that I wanted a gorgeous, elegant wedding with ivories my fiance dressed in his Marine Blues, and to be surrounded by our closest family and friends at a fun downtown DC location. From Shannon: My favorite memory from the day was having my mother help me into my gown, and opening the bridal suite sliding door for my bridesmaids and flower girls to see me as a bride. I had kept my dress a secret until before then, so the pictures are amazing of their and my looks! Another special memory is seeing my Marine for the first time with tears in his eyes as I entered with my dad. I needed my dad’s strength when I saw him looking at me, knowing that I was soon to be his wife.